The following is a glossary of terms and abbreviations commonly found within ICIS pricing reports. 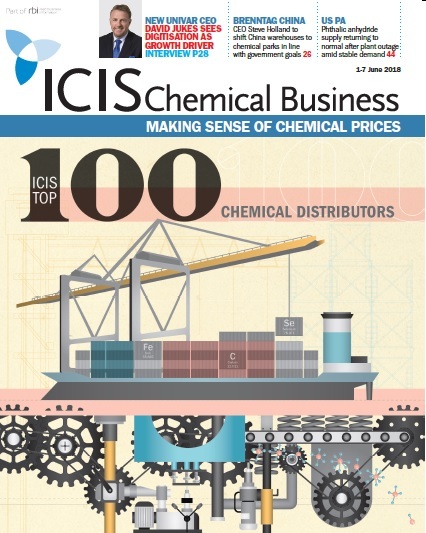 ICIS Chemical Business magazine is pleased to present its 9th annual ICIS Top 100 Chemical Distributors listing. This comprehensive global listing includes a total of more than 250 companies. 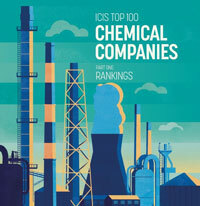 ICIS is pleased to present the top 100 chemical companies of 2017. Based on 2016 sales, the list highlights the largest and most influential companies on earth. ICIS will be exhibiting at NPE 2018, 7-11 May, in Orlando Florida. Stop by booth #S16037 to discover how we can help you navigate through the continued changes in the plastics markets.